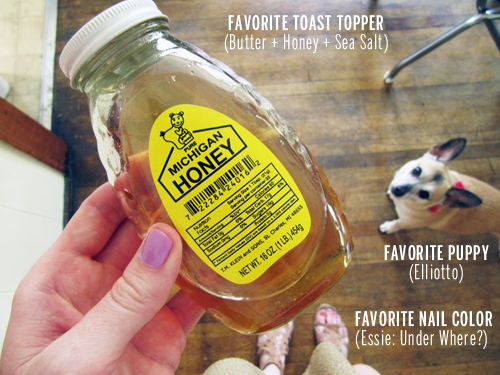 My favorite thing to top toast with, these days, is butter, honey, and sea salt. Can’t stop. Won’t stop. Sometimes I eat it for lunch. Sometimes I eat it for dessert. Mostly, I just love it. 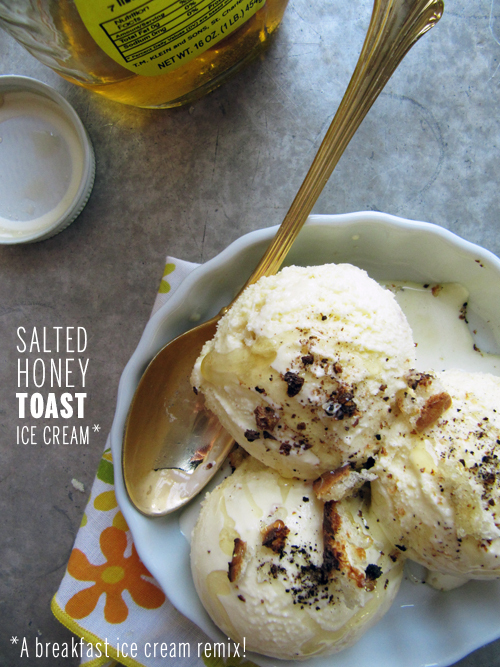 So when Adrianna posted Salty Honey Ice cream, I immediately thought of my fave toast. And you guys, this tastes like the ice cream version of my favorite toasty breakfast! I want to high five it! I keep imagining this ice cream served on warm corn bread, southern-sundae-style. Or maybe biscuits. So I hope you’re into honey, honey. P.S. I recommend burning your toast (a little) before sprinkling it on this ice cream. And then eat it for breakfast, ok? YOLO and stuff. Make toast crumbs. Place bread in a 200F oven on a baking sheet and toast until completely dry, 10-20 minutes. Pulverize in a food processor. Allow to cool completely before popping in a container in the freezer. Make the ice cream! In a small sauce pan, warm the honey and salt. Set aside. (Or place in a microwave safe bowl for 30 seconds.) Make an ice bath by filling a large bowl with ice water. In a medium bowl whisk together the egg yolks. In another bowl, place the cup of cream. Top the bowl with a fine-mesh strainer. Pour through a fine-mesh strainer into the bowl holding the cup of cream. Stir in the honey. Place this bowl into the ice bath and stir until room temperature. OR alternately transfer the ice cream base into a gallon zip top bag and submerge in the ice bath. Refrigerate for 4 hours. Churn according to your ice cream maker’s instructions. Transfer half of the ice cream to an air tight container. Sprinkle with toast crumbs. 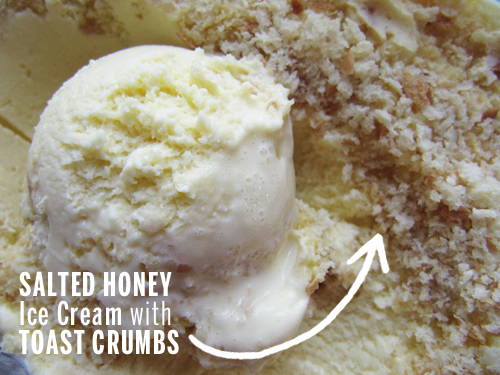 Top with ice cream and more toast crumbs. Freeze over night. Serve it! When you’re ready to serve your ice cream, toast one slice of bread until dark-ish. 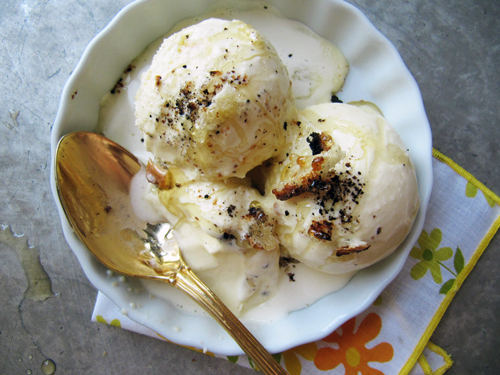 Butter it, crumble it and top your ice cream. Drizzle with honey. Serve! Yay! Click HERE for a printable pdf for the recipe above. P.S. I normally only want chocolate ice cream! And fave sandals. And now fave breakfast (ice cream). Um, shut up. One question: can I slam a peanut butter swirl in there? Please slam dunk some of your homemade PB up in this ok? Maybz bananas? I am a sucker for sweet and salty! Ice cream has been popping into my life everywhere lately and I sort of love it. This needs to definitely be on my radar. Me too, Lauren! And yeah man, I’m so glad you found this toasty dream! 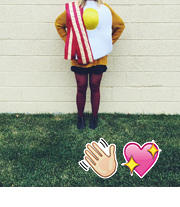 Oh my…can I have it for breakfast? Ice cream for breakfast? I’m totally in, especially if it involves honey and salt…YUM. Let’s put it on French toast! Can’t Stop. Won’t Stop!! Girl, this ice cream is the biznazz!! Yes! Ice cream for my whole life! This is why you’re my favorite. This comment made me smile so big! What an awesome ice cream recipe! I am loving this. YOLO! I’m totally down with the biscuit and cornbread remix, too. You have the best salty/sweet dreams. So glad we saw you at the Hour Detroit party! Steamed buns and mini burgers for the win! I’m so glad we ran into you too! So nice to meet your hubz too! Wuuuuuut. Gimme this. Charred bread and honey and salt and iceee creeeeaaaam. Yes. YES. I wish I could mail you some! PS. 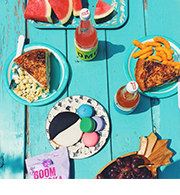 I wanna YOLO – ice cream for breakfast style! Right?! I’ll take one YOLO sundae, please. Ice cream for breakfast? Yes please! Sounds like a great flavor combo.